Yamaha is mostly known in the US for their vehicles–motorcycles, snowmobiles and even boats–but in Japan, Yamaha has been making instruments for over 60 years. With all that experience behind them, Yamaha offers some of the best budget guitars available, and the Yamaha F335 is no exception. Being a budget guitar, and a low budget one at that, the Yamaha F335 is not the best built guitar on the market, but it is solid. The spruce top is very sturdy and not very porous, however this could be due to the lowly cut of the wood; the lower quality the wood, the less chances a blemish will be sighted (blemishes are not commonly found in pieces that are glued together, after all). The Meranti sides are a nice touch, but again, the cost shows. Meranti may not be the most common would, but it is a cheap wood, and it has an almost plastic feel to it that may make it unpleasant for some musicians, especially when the guitar is digging in to their stomach while they sit strumming chords. The Yamaha F335’s finish is definitely one of its weakest points. The laminate makes the wood feel almost unreal, and that is not a good thing. Overall, the guitar has a plastic feel to it, as mentioned previously, due to the poor quality wood being compensated with a massive amount of laminate. Instead of polishing a decent piece of wood, the company has taken a bad cut (as many companies do) and simply filled in the imperfections–of which, you can be assured, there are many. Yamaha F335 usually comes in its natural, slightly aged color, but other variations are also available. The Tobacco Brown Sunburst gives it the old-school, rock & roll kind of look, although it comes with a different type of neck wood (Nato instead of Meranti). It also comes in solid black color, giving it a peculiar enigmatic feel and lustful aura. Fretboard, neck, and top material remain unaltered, and it provides the exact luscious sound as the original. A variation of the original is the FD01S in solid, natural color, and it comes at a slightly more expensive price (10 $ more to be precise). The big difference can be seen in Mahogany neck instead of the usual Meranti. If you have ever strummed a piece of sturdy Tupperware, you already know exactly how the Yamaha F335 plays. With all of their knowledge, Yamaha still comes up short; the action on the F335 guitars, out of the box, is atrocious–it is so high that most new guitarists will develop wrist pain simply trying to fret one of the strings. Budding guitarists need easier fretting more than any other guitarist, and Yamaha completely neglects this fact. While playing this instrument, notes disappeared. They weren’t snatched out of the air, at least not in the ordinary fashion. Laminated wood never sounds as good as real wood, but the Yamaha F335 hits a new sort of low. Notes become lost in the muddiness of the laminate. You can play chords, but you will be hard pressed to discern the notes within even the simplest triads. Everything played on this guitar melds together until it as nearly illegible, meaning that beginner guitarists will not be able to develop the ever crucial musical ear they need in order to progress as musicians. A majority of customers find its best use while practicing at home or jamming with friends, while some reported they found it quite fitting for playing in a school band or small venues. The best thing about this guitar is the ratio between its meager price and acceptable quality. 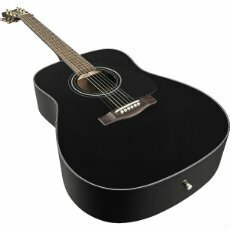 It is a perfect guitar for starting musicians, as a gift, or even as a spare guitar to have beside your main, more quality ones. The main qualities that are pointed out indicate that it has a rather pleasant feel, that it is very fun to play, decent consistency, and that it stays in tune. One of the best, however, is the price which is affordable by almost anyone. The quality of Yamaha F335 is, however, debated. Most of the skilled guitar players describe it as a toy-like instrument for children, or as a “guitar with decent feel, but an unacceptable quality of audio and sustain”. Being considered a perfect for newbies, those remarks are not to be taken so strictly. Its availability and low cost is what is directed at a greater mass of potential customers who are most likely on a budget, and therefore look for a decent guitar in accord with their income. Some people consider the finishing to be inconsistent. Labeled as "beginner guitar", so intermediate and more skilled players will find little to no use of it. Not very versatile, it has only a few simple practical uses including practicing and jamming. 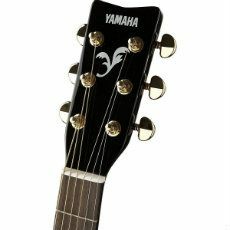 All in all, there are many guitars that could top the quality of Yamaha F335, but it is worth its price most definitely. It gets a big plus for being manufactured in multi colors, black being the most sought after. In the eyes of a pro, this is merely a toy, while in the eyes of the inexperienced guitarist who has just begun the quest of rocking and rolling, it is a perfect starting point. The truth is in the middle, this guitar may be far from perfect, but it’s far from bad as well. Beautiful natural, black, or tobacco brown layout, decent playability, and versatility, as well as acceptable sound output and consistency makes this guitar worthy of giving a shot.